Get ready for a return trip to the Night Gallery. 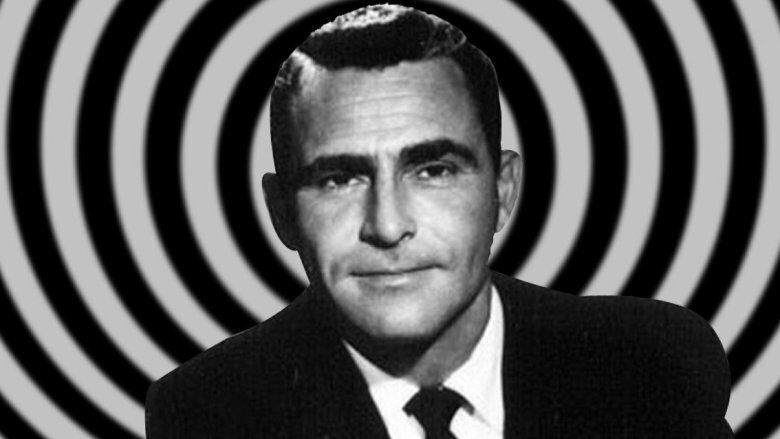 SyFy has picked up a "reimagining" of Rod Serling's creepy '70s anthology series, to be co-produced by Universal TV. Teen Wolf creator Jeff Davis will serve as an executive producer, along with David Janollari (Midnight, Texas), according to Deadline. Night Gallery originally aired on NBC between 1969 and 1973, picking up where Serling's seminal series The Twilight Zone left off. Each episode featured a framing device in which Serling perused the corridors of an appropriately darkened art gallery, settling upon a strange and/or disturbing artwork which would illustrate the episode's story. Serling served as the main writer on the Emmy-nominated series; the pilot episode has the distinction of being the first-ever professional directing gig for a 21-year old Steven Spielberg. The news comes as streamer CBS All Access gears up to give us the third reboot of The Twilight Zone. The first revival aired between 1985 and 1989, and was largely seen as a successful continuation of the original's legacy; the second (featuring Forest Whitaker as its onscreen narrator) managed only one season, airing on UPN between 2002 and 2003. The latest version comes to us courtesy of Jordan Peele's Monkeypaw Productions, and will see Peele taking on the narrator role. Although not as well-known as The Twilight Zone, Night Gallery cast a long shadow over popular culture, with a vibe distinctly more creepy and ominous than its predecessor. In a 2014 interview, horror maestro Guillermo Del Toro even credited the series with giving him the single biggest scare of his young life. "When I was a child, I watched an episode of Night Gallery called 'The Doll,'" the director recalled. "The Doll turned around and looked at the camera and smiled and I literally just peed like a hose. And I was screaming uncontrollably. And my father just grabbed me and took me into the bathroom and put me in the bathtub… That for me was the highlight; that's as scared as I've ever been." So far, there's no word on whether the new Night Gallery will update any of the original series' episodes, as both previous Twilight Zone reboots have done. But there's certainly a wealth of spooky material to be mined if producers should choose to do so; notable episodes include pilot "The Eye" (which starred Hollywood legend Joan Crawford, and for which Serling picked up an Edgar Allan Poe award) and season 2's "Pickman's Model," an adaptation of H.P. Lovecraft's terrifying short story. However, per Deadline's report, the reboot will focus largely on stories updated for the modern era, perhaps serving up technology-driven scares in the same vein as the widely acclaimed Netflix anthology series Black Mirror. So long as Serling's penchant for dark irony and brutal twists of karma remains intact, it sounds like Night Gallery will be will worth checking out. As the series is currently in development, no further details are available, but we'll be keeping a close eye on this one.